The gorgeous gated community of Kensington Estates by Richmond American Homes is compromised of 154 Estates - homes, which go anywhere from 2800 sq ft to almost 4000 sq ft depending on the floorplan or custom additions. Homes here have great floorplans, and their location close to the Toll Road and Westridge Park, make the Kensington Estates, and ideal place to call home, specially for those commuting. View all Aliso Viejo Kensington Estates homes for sale below, or click to read more about Aliso Viejo Kensington Estates Real Estate. We are licensed Aliso Viejo Realtors® that are ready to help you with your home sale or purchase. Contact us by email or Call us at (949) 888-6788 for a showing! Kensington owners do not have an association pool or spa but they have close proximity to the Westridge Park. There are 5 floorplans to choose from. Access to the 73 freeway is only a short drive away. 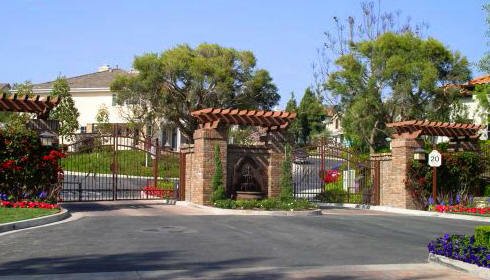 While located in a rural setting, the Westridge communities, which Kensington Estates is part of, are located within a short distance of the ocean and its resort towns, major employment areas not only in Aliso Viejo but Irvine and the rest of amenities of Mission Viejo, Laguna Beach and Aliso Viejo.